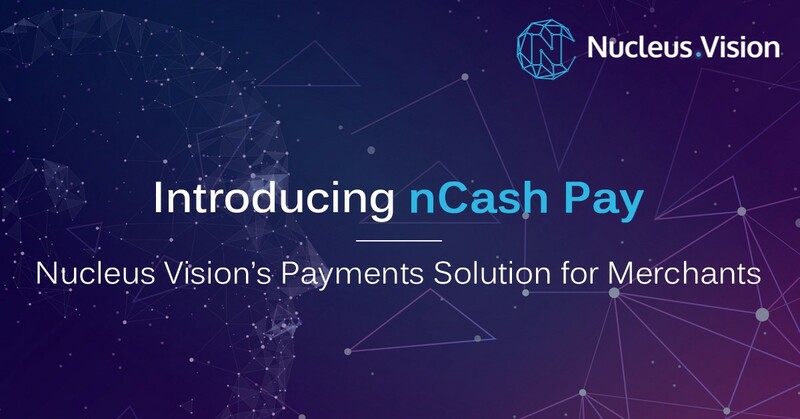 Nucleus Vision is pleased to announce the launch of its new crypto-based payment solution — nCash Pay — powered by the company’s existing nCash token. With this Nucleus Vision has taken a huge leap towards building its ecosystem with nCash global loyalty program and a payment widget to accept nCash hence increasing the utility of nCash token. It is a plug and play solution that can be incorporated with popular ecommerce platforms used by most merchants. The new payments system — nCash Pay — enables online merchants to accept payments through nCash in exchange for goods and services offered by the merchant, creating an alternate payment option for shoppers. Additionally, merchants using nCash will get visibility among 100,000+ global nCash community members and enable merchants to on-board new customers. With this, we anticipate a tremendous surge in adoption globally. The demand for transactions in token has grown substantially. In fact, the number of retailers accepting cryptocurrency rose by 30% in 2017 alone. Starfeed, a Korean media curation and syndication company, is all set to integrate nCash Pay. With nCash Pay, the company furthers its vision to go global. Recently, Nucleus Vision expanded its footprint globally by announcing its foray into Korea by partnering with ZOYI Corporation, a retail computing company. 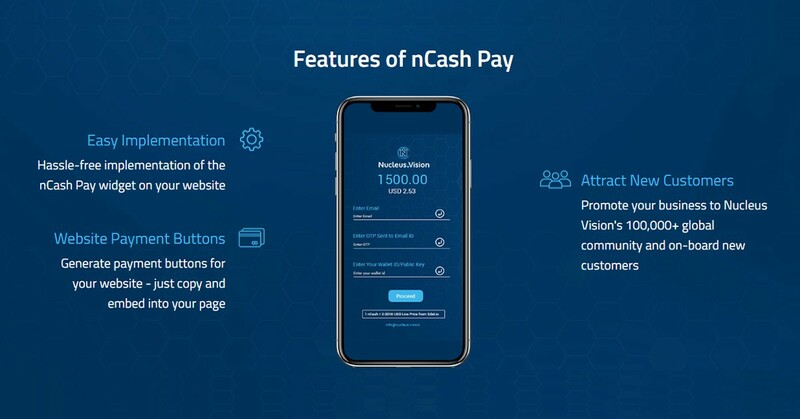 We are confident that nCash Pay will pave the way for future of business transactions and provide an uncompromised solution to our merchant-partners.